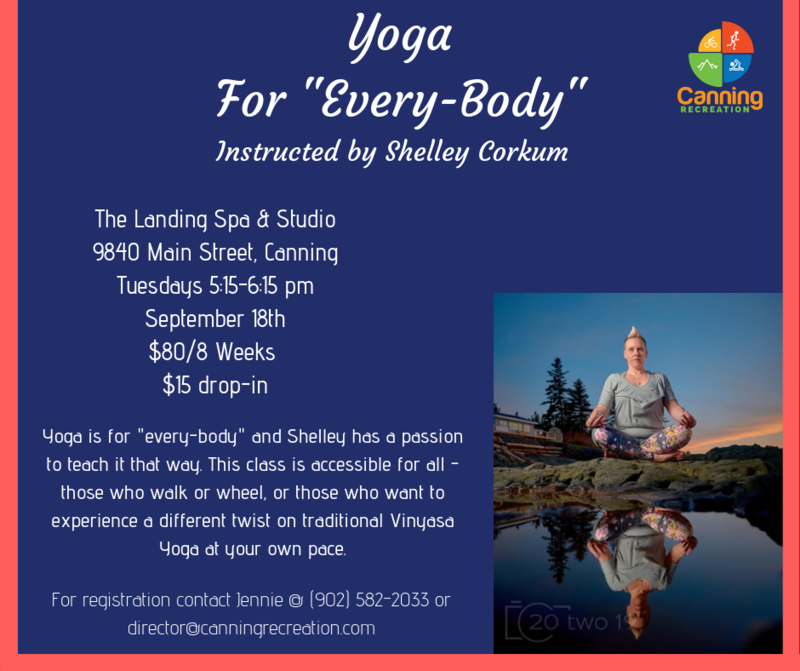 Yoga for "Every-Body" with Shelley Corkum: Starting Tuesday September 18th at 5:15-6:15pm at The Landing Spa & Studio. This class is about teaching yoga to every BODY. The class will cater to the individual and not the stereotype, which is what yoga is supposed to be; all inclusive. Whether you have limited mobility with your wheelchair, or tight hamstrings and have felt intimidated in the yoga setting as a result, this class will demonstrate all of the ways you can benefit from yoga. Drop in is $15 or register for all 8 classes for $80. Dates September 18th for 8 weeks. Accessibility Fully Wheelchair Accessible ; This is a fully accessible yoga class for all abilities!